Susan Kelsey is a licensed Marriage and Family Therapist and Registered Play Therapist Supervisor in private practice in Fremont, California. Susan's practice is limited to children of all ages - toddlers through teens. Susan specializes in the use of play to help children work through their challenges (see more about Play Therapy in the Parent section). 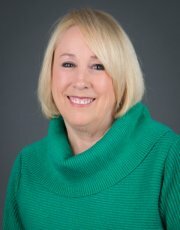 Susan is a nationally recognized speaker and presenter on subjects related to the treatment of children and adolescents. Susan has been featured in numerous parenting magazines as an expert on issues relating to children, and was interviewed on the television news show, "Daybreak OC". Susan is very involved in her field. She founded and is past president of the Orange County Chapter of the California Association for Play Therapy (and served on their state Board of Directors), and served as the 2008 and 2009 President of the Orange County Chapter of the California Association of Marriage and Family Therapists (and also served for two years on their state Board of Dirctors). She has also served as an Adjunct Professor in the Play Therapy Certificate Program at UCSD.